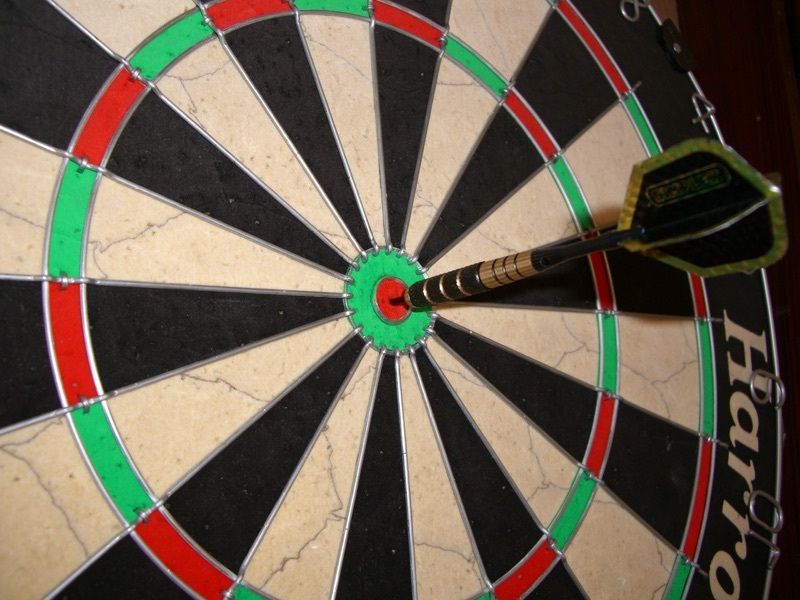 Are You On Target With Your Audience? In 1995 I spent the northern summer at North Star Camp for Boys in Hayward, Wisconsin working as a camp counsellor. One of the perks of my job was being able to try a lot of new things. The shooting range which was being coordinated by an Israeli counsellor who had learnt to use a rifle during his compulsory military service. He showed me how to operate the air rifle which was similar to one that I had used with my dad on the farm as a kid. I lay down and aimed at my paper target. When I was done my Israeli friend looked at my results and seemed impressed. Even though I had not hit the bullseye all of my shots where in a very tight formation to one side of the bulls eye. And then he said something interesting, "That's a good result, precision is more important than accuracy". Knowing exactly what your customer wants is the thing you need to find out most. Today we are going to cover the target audience, the target profile and how to get clarity on the exact problems of one person. Your target audience is not a bulleye, instead focus on one person. Before you create your artificial avatar by compiling the wants from a range of people in your audience let’s try a quick thought experiment. Let's look at the use of a service in reverse. Pretend you have a list of clients who have had a massage at a chiropractic centre over the last week. One person might be recovering from a workplace injury, another may be pregnant, another might be suffering from arthritis, and still another might have been given a voucher for a massage as a birthday gift. So what would your avatar look like? A pregnant woman in her late forties with arthritis who hurt her back lifting a heavy box at work who happens to have just celebrated her birthday? This mishmash becomes unrealistic and non-specific. The artificial avatar becomes too general and our positioning then becomes too generic as a result. One person will not have so many reasons for having a massage. They will typically have just one main reason for using this service. But how do you find out what people really want? You speak with one person. This is called your target profile. You find out all the criteria they use to decide on a particular product or service. You uncover their concerns and problems in detail and then you ask them to rank these problems. Your goal is to pick just one one of these problems and then expand upon it in your marketing material. Hang on. By now you’re probably thinking this sounds crazy. Not only are you now just talking with one person but you are now focusing on one problem. Surely this is crazy right? But this is actually going help you get clarity and focus in coming up with a solution that solves this one specific problem. Focus on the problems of one customer and expand upon that. This is critical. If you don’t expand on this one problem it will feel too narrow. So zoom in and start describing the problem in smaller and smaller detail. 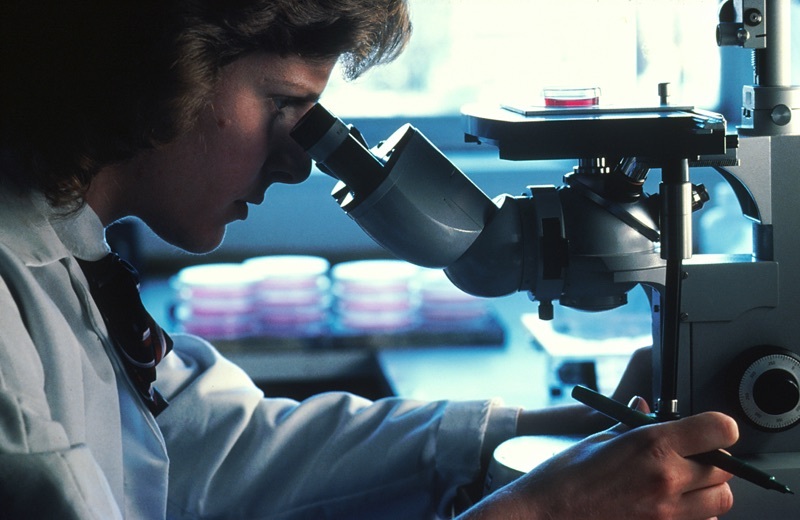 With each increase in magnification with your microscope you see new aspects to the problem. Your goal is to know so much more about this problem than your target profile that you truly can offer them a specific solution tailor made for their exact problem. They will feel like you have made the product or service just for them. But won’t all this focus exclude people? Of course focus will seem to count some people out. It will exclude people who are not interested in your product or service and that’s what you want. Just remember that the reality is your product or service will serve a number of different people in your target audience. Talking to just one helps you construct your offer and messaging to focus on this particular person. Then you can test and segment your messaging by talking to other target profiles and customise your offer for them. But start with one. 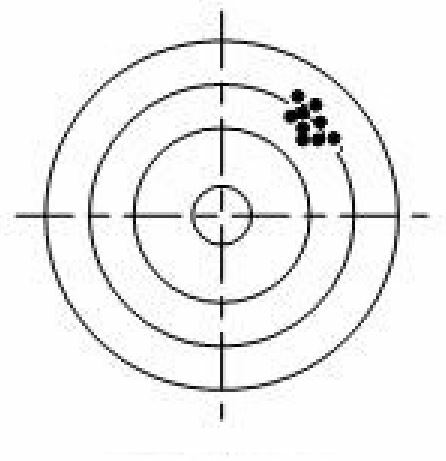 Just like a target in the rifle range it seems to make sense that you need to know what you are aiming at doesn’t it? But the target is not going to be the same for everyone in your audience. So you pick one real person and focus in on one of their problems and then expand on that. When I quizzed him my camp rifle instructor explained what he meant about precision. He said that it could be that the rifle sight was out of alignment or the point at which I am aiming requires adjustment. By slightly modifying my aim my accuracy could be improved more quickly because I was already pretty consistent with my precision. The nugget of wisdom in this is that if your have precision to begin with it is more easy to improve your accuracy. To find out more about how to narrow in on your target customer check out this podcast by Sean D'Souza called the Three Month Vacation.